I have appeared as a guest on ABC Australia’s RN Drive show Behind The Tweed, talking about my research on the Wellcome tattoo collection. Listen to the programme here. I occasionally write articles for web and print media on tattoo history and culture, history of art, museums and history of medicine on a freelance basis. For freelance inquiries, please get in touch using the contact form below. 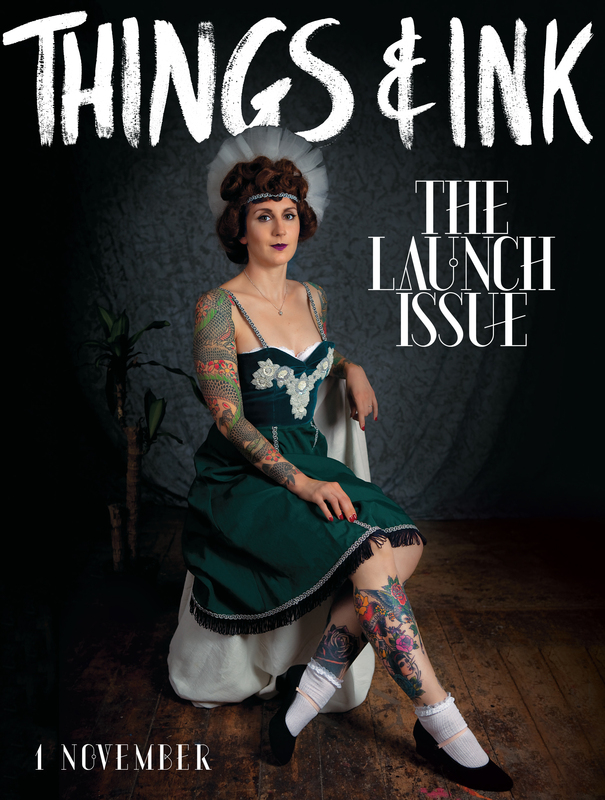 I have previously written pieces for Tattoo Planet magazine, and history and culture features for Things and Ink, a quarterly tattoo magazine which launched in November 2012. To order your copy of the current issue, or subscribe, click here.